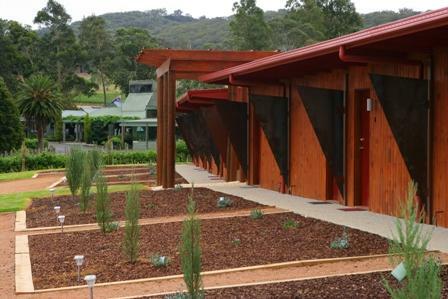 Nestled amongst the Vines adjacent to Fergusson Winery there are 23 Brand new Studio Rooms all with private ensuites, carparks, outside seating and more. All are elegantly furnished with carpet, tiles and blinds. 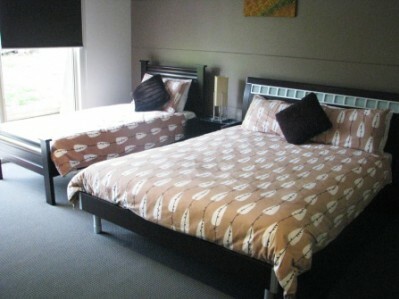 All rooms have Queen size and or double or single beds. Spa rooms are available and Gift Vouchers can be arranged for any combination that you would like. Call us to discuss anything you require, we are more than happy to assist. Perfect for Romantic or family getaways. Fergusson Restaurant is a few steps away and open every day (except for Tuesday) for breakfast and lunch. Dinner bookings are required.The township of Yarra Glen has an abundance of restaurants and cafes that we can happily arrange bookings. 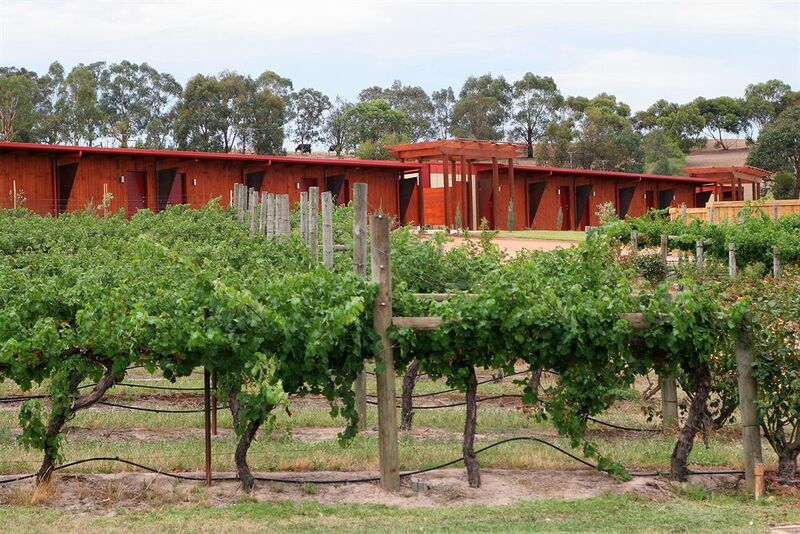 De'Vine Escape is a family owned accommodation facility nestled in the Vineyard adjacent to Fergusson Winery. A lot of care has been taken to ensure comfort, privacy and a memorable stay. From the moment you drive up the magnificent entrance past the chapel and pond you are surrounded by some of the oldest Vines in the Valley. Enjoy a glass of Ned's Red or divine Chardonnay with a sumptuous cheese platter in the afternnoon whilst taking in some of the best views across the Yarra Valley. The restaurant is open daily for breakfast and lunch, with complimentary wine tastings for guests. Friday / Saturday for dinner, or groups midweek can be arranged. 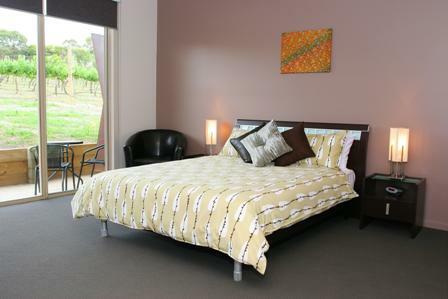 The Accommodation rooms have fresh linen and towels provided and the rooms are serviced for a three or more night stay. We can help arrange Wine tours, meals, balloon flights, helicopter rides and more. Weddings have become so popular in the Valley, we can accommodate a lot of guests in our 23 rooms. De?Vine Escape is an excellent venue for small conferences or team meetings for up to 12 people. We provide the accommodation and the conference facilities and then assist you to create your own unique conference experience. Call us for any queries or booking needs. Our Cancellation Policy applies with confirmation of the reservation and applies if cancellation is caused by the client. Cancellations No Shows or Postponed reservations within 30 days of arrival will forfeit 100% of booking tariffs. Reservations made through a booking agency will upon cancellation attract said booking agencies administration fee in addition to De?Vine Escapes fees & charges. Reservations made as a result of Gift Voucher cannot be postponed beyond expiry date cancellation policy applies. Reservations made as a result of any discount facility cannot be postponed no refunds given. Our property check in time is between 2pm and 5pm. Guests are to notify us if you are unable to check in during this period as key drop arrangements will be to be put in place for you. A $50.00 late fee may apply for late arrivals with no prior arrangements in place. Our property check out time is by 10am on day of departure to allow us to prepare for the next guests. Late checkout not by mutual arrangements will incur additional charges of $50 per hour or part of.